Hey, we totally get it if you're making a conscious effort to look like an “adult” around your friends and relatives, and you think fuzzy sweaters covered in tacky designs are for the youngins. And even though ugly sweaters in recent years have become as much a part of Christmas tradition as roasting chestnuts, giving gifts, and your uncle getting trashed on egg nog, it doesn't mean there's no room left for improvement. Well, get ready for this cheesy holiday tradition to get improved! 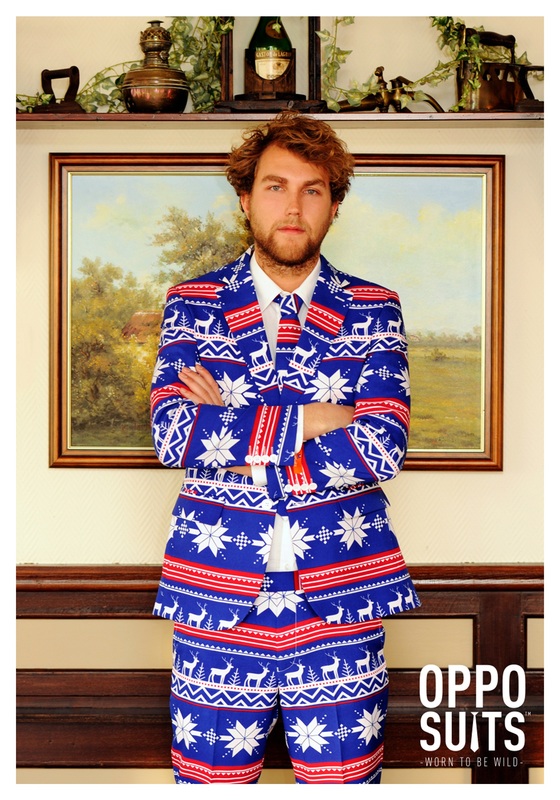 You'll be the talk of your Christmas (or office non-denominational holiday) party when you stroll through the door in your new Christmas Sweater Suit, from OppoSuits! And we're not just saying that figuratively. 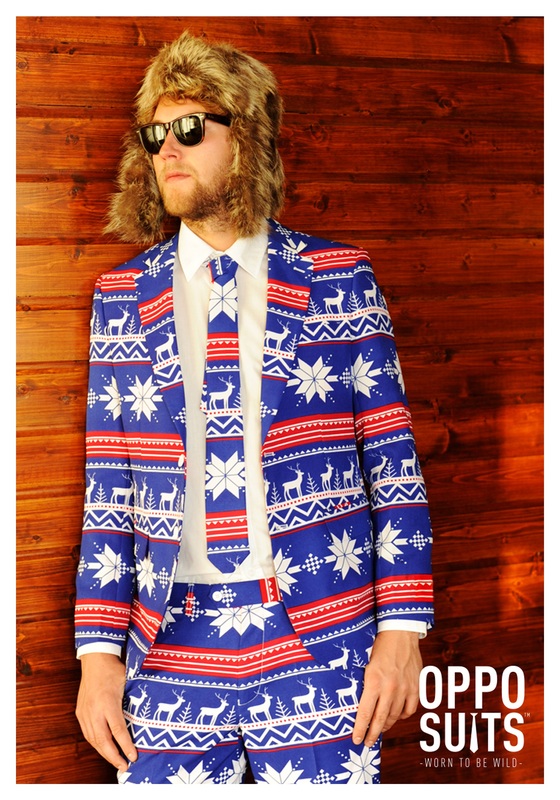 Everyone will be talking about your swanky threads, and discussing whether it's a suit that looks like an ugly Christmas sweater, or an ugly Christmas sweater that looks like a suit. 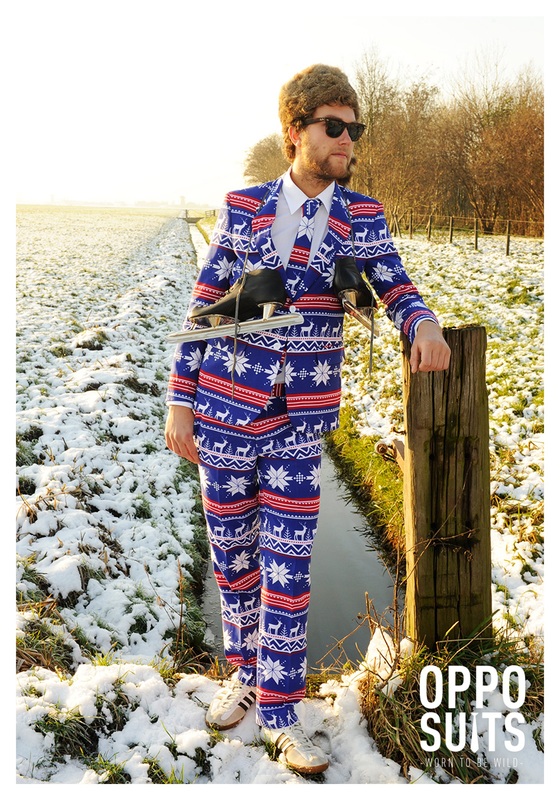 We think it's a suit that looks like a sweater, but it is called a “Christmas Sweater Suit” so technically it could be either, if you really want to get philosophical about it. One thing that everyone can agree on, though, is that this is one festive looking outfit. 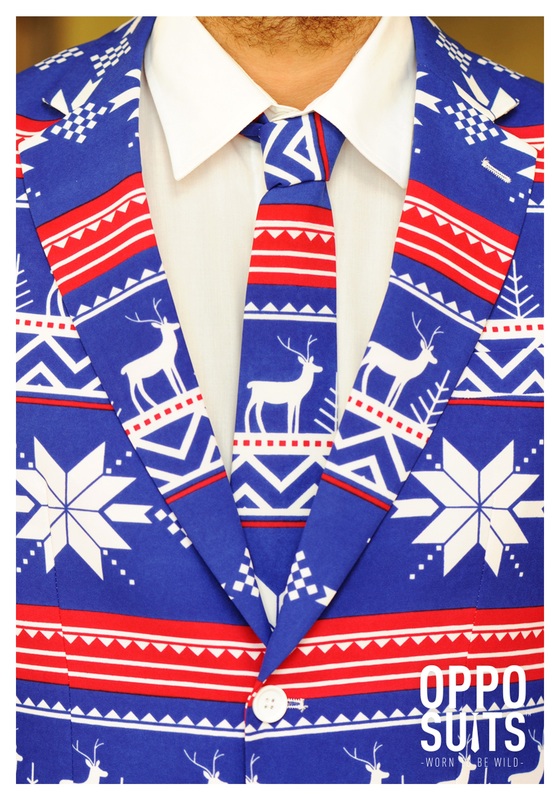 It comes with all the standard features of a two piece suit and tie (pockets, buttons, lining, the works), but in the traditionally flashy pattern of a snow and reindeer covered Christmas sweater. Wear it to spread cheer with your standard dress shoes, or check out some of our colorful costume dress shoes, to make your style really pop. Following traditions has never looked so grown up!